If you're looking for a more functional, Swedish-style take on luxury than is offered by the German or Japanese luxury models, the Volvo S80 delivers. 2007 Volvo s80 - equal parts function, style & comfort. 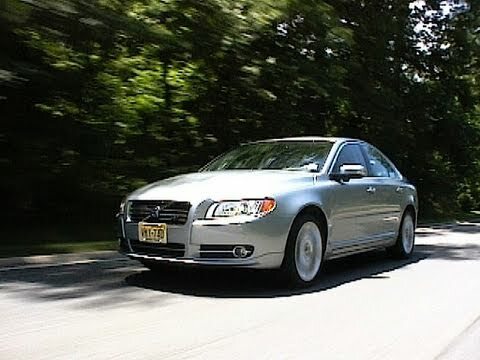 My 2007 s80 has been great- I bought it after my previous Volvo s80 2006 was totaled in an accident. This accident really cemented my belief in the true safety that Volvo is known for, as I & my family would have been hurt much worse in any other car. I bought my current 2007 model used, and after several years of owning it, so far have only had to have regular servicing, plus replace a battery & a set of tires. Maintenance had been a concern of mine, Volvo being a foreign car, but it is true what they say- if you take the proper car- Volvo’s will last a very long time. Some things I really like about my car: very comfortable (everyone loves the comfy seats), I love the power of the engine in this car- if I need to accelerate quickly to get on the highway, pull out in hectic traffic, etc.- it is very easy to do. I love my awesome sound system, which is really nice as-is, no extra sound system changes have been made with regards to speakers, etc. The backseat is super comfortable & roomy with a nice arm rest & drink holders. The trunk is huge for travelling with lots of luggage, etc. As a woman, I like that the car lights slowly fade off when you leave the vehicle, so you are not totally in the dark when you get out of the car at night. I like that you can display on your dash exactly how many miles left you have to go, before needing to refuel. (the remaining miles indicator always seems to show a little more than what you actually have, but is nice to have the estimate & reminder. ). Clean, sleek and comfy to drive. I love this car because it is nice and simple to use. We live in a high traffic area so having the smaller car is perfect. The is also tons of trunk space. I never have an issue fitting everything I need into the trunk. It is clean and looks nice on the inside and outside. Comfortable to drive. Great vehicle to own and drive. It is a trooper. Reliable, great gas mileage. Great in bad weather. I feel very safe in my vehicle. Performs great. It is very good in the snow, it handles amazingly. I feel it is the best vehicle I have ever owned. I recommend this vehicle to everyone. VOLVO IS RECALLING 12,303 MY 2007-2008 S80, V70, AND XC70 VEHICLES. THE DIAGNOSTIC SOFTWARE IN THE CENTRAL ELECTRONIC MODULE (CEM) MAY CAUSE A MALFUNCTION OF THE WINDSHIELD WIPER FUNCTIONALITY. IF THIS CONDITION OCCURS, THE WINDSHIELD WIPERS MAY NOT OPERATE WHEN ACTIVATED; OR IN CERTAIN CASES THE WINDSHIELD WIPERS MAY ACTIVATE WHEN NOT SWITCHED ON. OPERATING A MOTOR VEHICLE DURING INCLEMENT WEATHER CONDITIONS WITHOUT FUNCTIONING WINDSHIELD WIPERS CAN INCREASE THE RISK OF A CRASH. DEALERS WILL INSPECT THE CEM AND UPGRADE THE SOFTWARE FREE OF CHARGE. THE RECALL IS EXPECTED TO BEGIN DURING MAY 2009. OWNERS MAY CONTACT VOLVO CUSTOMER CARE CENTER AT 1-800-458-1552, OR CUSTOMERCARE@VOLVOFORLIFE.COM.